Although she was born and bred in Orange County, California, Emily considers herself a true New Yorker now. Whether it’s ordering seamless twice in one day, or hopping from one subway car to the next, she would trade skyscrapers for the beach any day. 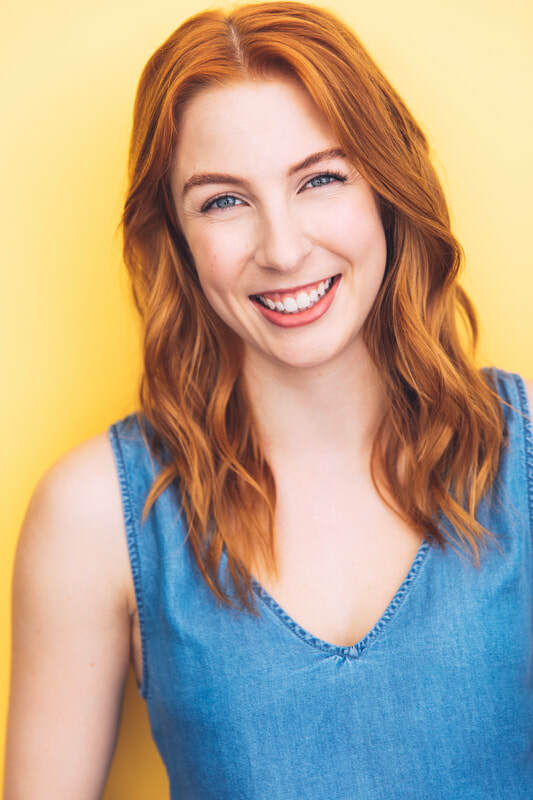 Although Emily could easily be mistaken for a 14 year old (and she has), Emily graduated from Pace University in the country’s first ever BFA acting for Film, Television, Voiceovers, and Commercials. In her free time, Emily loves to make people laugh, whether it’s doing a Shakira impersonation, or working on her SNL Target Lady. She can also be seen living up to her old lady potential while working on one of her true passions- knitting! She even started a small business called Em's Stitches, that donates 10% of all proceeds to Planned Parenthood. A true fan of comedy, Emily loves to make people laugh through the medium of television or film. Most recently, Emily was in a commercial for JP Morgan and the U.S. Open. She also was in a music video for the band Ghosted that can be seen on her gallery page.